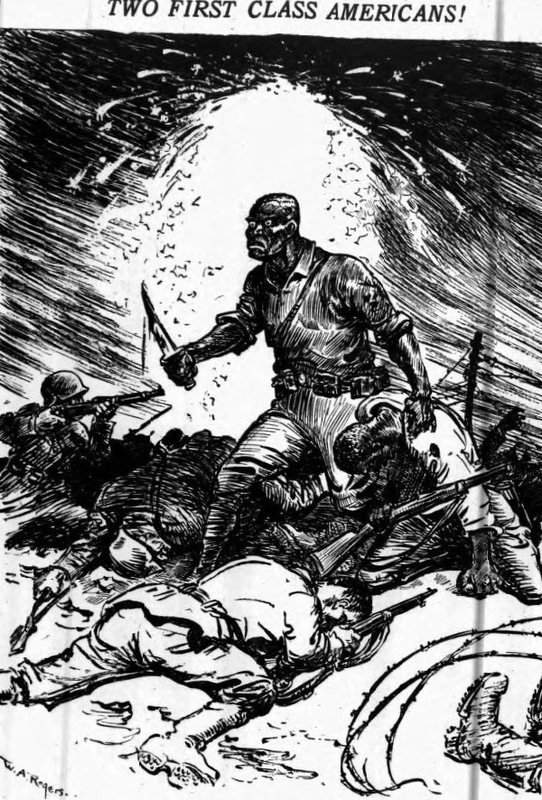 The above illustration, published during World War I, on May 22, 1918 in the New York Herald, commemorates the act of two African American soldiers who heroically took on 24 German soldiers and survived (and who shall be covered in Part 2 of this post). 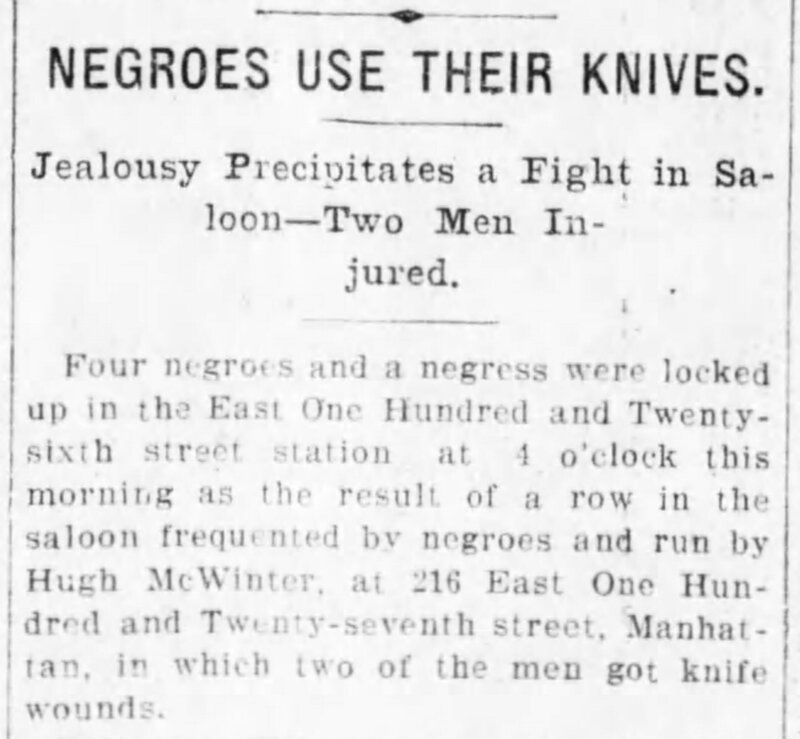 During the late 1800s and early 1900s, African Americans fought a large number of knife combats in New York City. 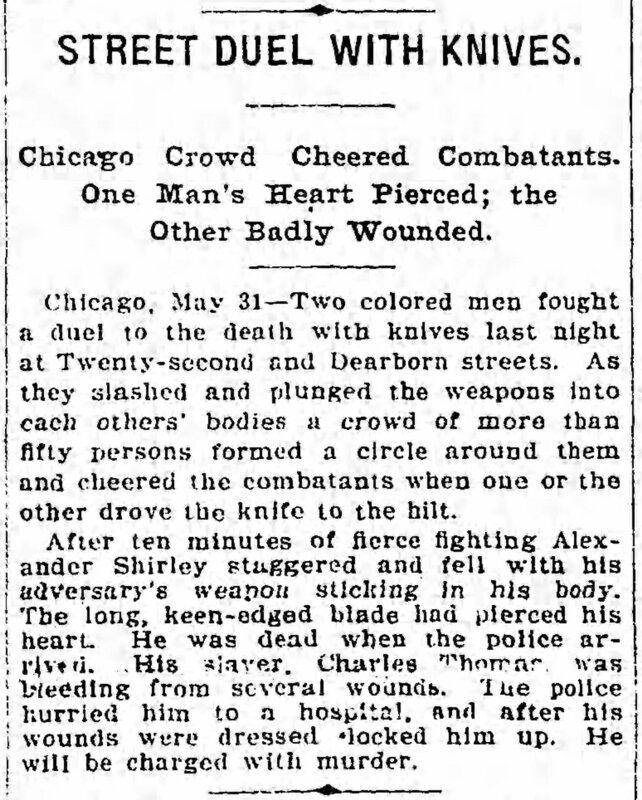 Such fights ranged from outright street melees, to one-on-one combats in which the participants observed loose rules in order to ensure a fair and equitable combat. 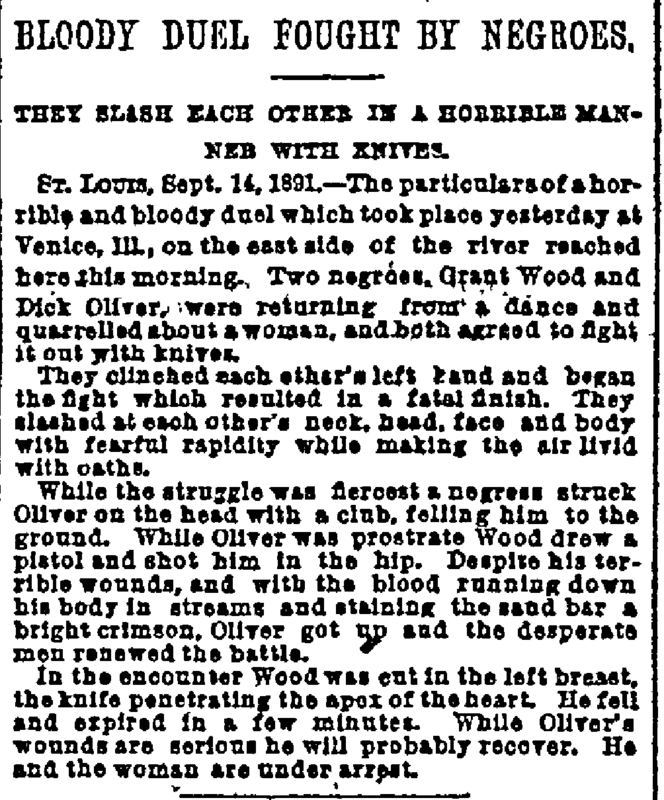 These were, for the most part, not duels per se, but hot-blooded affairs fought on the spur of the moment due to sudden insult or provocation. 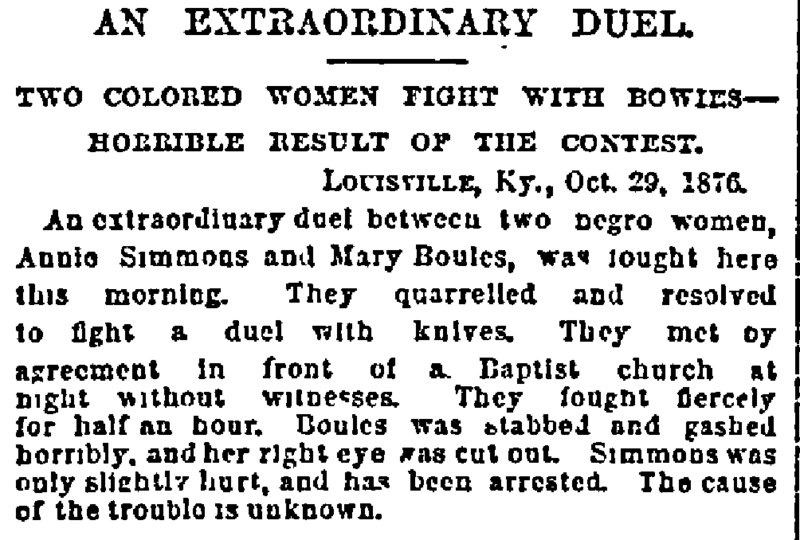 Combats were fought by black men as well as women. 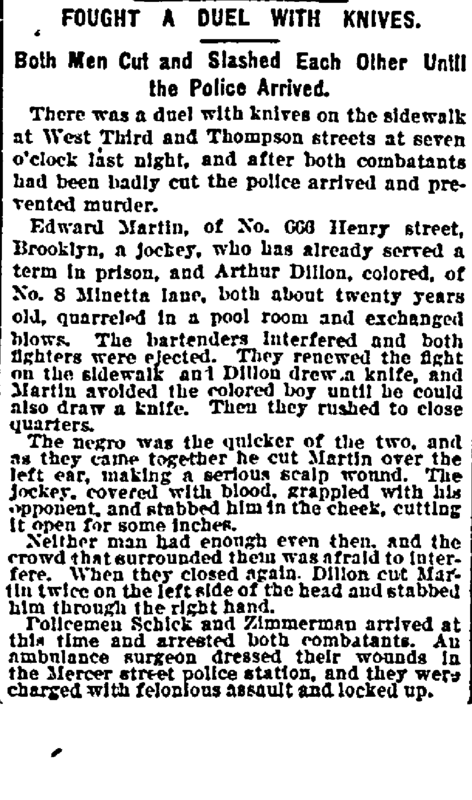 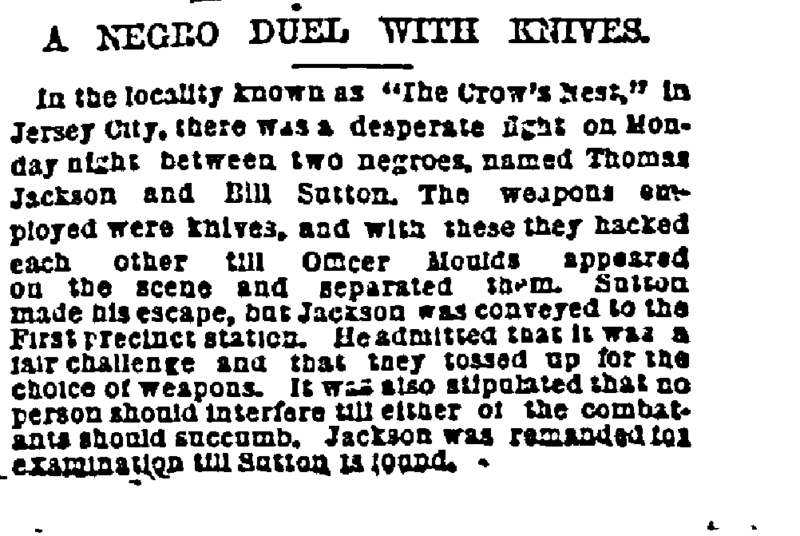 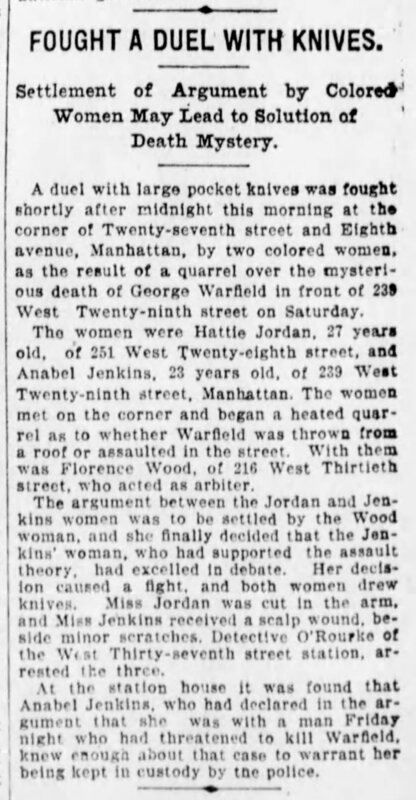 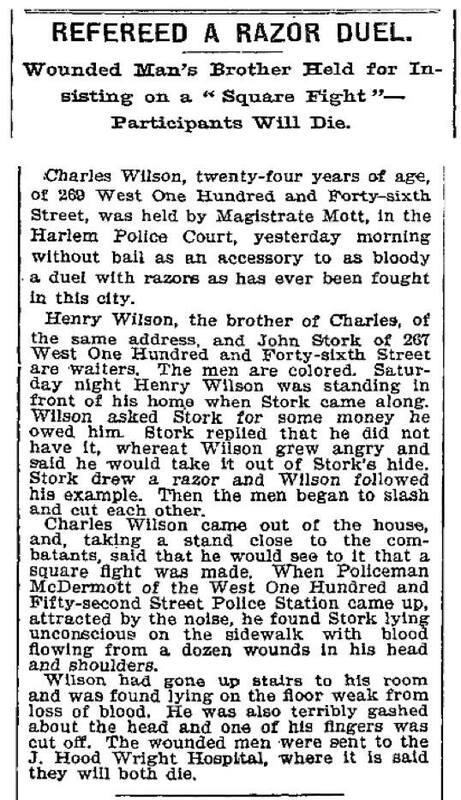 Above: New York Times, July 25, 1898. 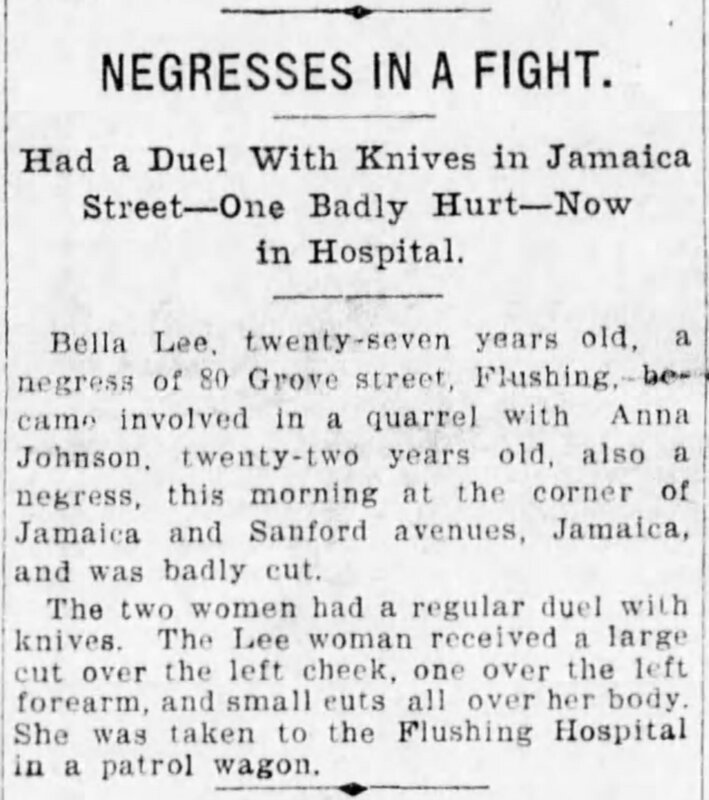 Continue on to Part 2, in which we profile the two African American war heroes that successfully fought off 24 German soldiers during World War I, and survived.